Angry Cottonwood Watercolor Sketch – Let's Paint Nature! The cottonwood wasn’t angry, I was. Just the day before I had gotten into an argument with an in-law which was totally taken by surprise. I held a rational conversation as long as I could until I had to remove myself from a room in my own home. It’s best to walk away than regret words you cannot take back. Like a turtle that retracts into its shell for protection, I run to nature for comfort. My deliverance: the woods, my diversion: painting. 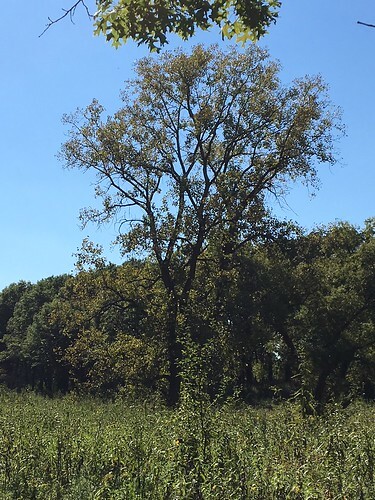 Sitting off trail on the forest floor, licking my wounds, I spot the cottonwood. 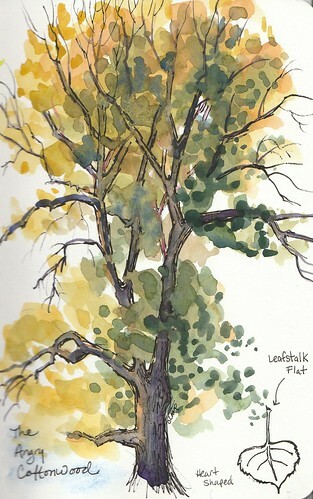 The leafstalk is flat on the cottonwood, creating violent individual waves from leaves in the gentlest of breezes while reflecting sparkles of yellow light, like gold glitter. It held me captivated. Painting the cottonwood, slowly, methodically, watching the colors blend, the water run, healed my frazzled nerves. It kidnapped my mind from troubles and nursed me back to health. The therapy, was it nature? Was it art? Was it the Great Counselor sitting next to me? Was it all of these working together? Your run-in with a family member was timely for me. Except mine was with a neighbor. She was sick and I had Not felt well either. ( She is a great artist, I am a beginner, (LOVE your website with Bible Verses). I to retreat to my art & prayer. In my situation, I learned we should not get in an angry conversation, esp. when we do not feel well. So true! Being sick can affect our thoughts. Great point. Thanks for the kind comment on my site. I hope your situation with the neighbor is resolved quickly and a healthy relationship can be restored!